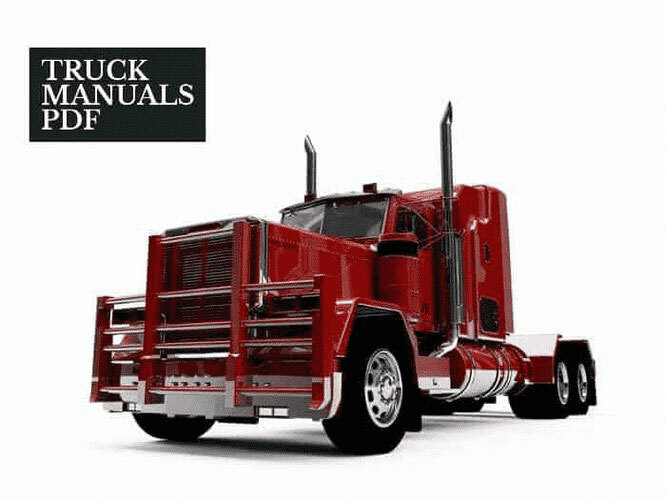 A VERSATILE Tractor Service Manual PDF is above the page. VERSATILE company is an international production corporation. At the enterprises located in Canada - the production of tractors and tillage equipment, the USA - the production of sprayers, Russia - the production of combines - more than 20 types of agricultural equipment. 1945 - the foundation of the company Buhler VERSATILE. Peter Pacos at his home in Toronto organized his first production workshop. 1953 - Peter Pacos and his partner Roy Robinson move to Winnipeg to get closer to farming regions. The first products of production were grain loaders, sprayers and self-propelled roller headers under the brand name VERSATILE. 1964 - the VERSATILE plant was built. 1966 - the first tractor with all-wheel drive 4WD under the brand VERSATILE was manufactured. 1976 - the beginning of mass production of the world's most powerful wheeled tractor 348 hp (model 945). The company occupies more than 30% of the North American market of tractors with a capacity of more than 200 hp. 1981 - rapid growth in production. Launch of 9 models of all-wheel drive tractors with power from 71 to 470 hp A new market is opened - Australia. 1986 - Ford Tractor Division acquires VERSATILE and Sperry New Holland. The company is renamed Ford New Holland. 1991 - Fiat Corp acquires 80% of Ford New Holland and names the new company New Holland. In 1993, Fiat Corp bought the remaining shares in Ford. 1993 - start of production of Genesis tractors with a classic frame. 1999 - Case and New Holland announce their merger. The antitrust committee of the US Department of Justice demanded that Case-New Holland (CNH) sell VERSATILE. Winnipeg industrialist John Buhler announces his intention to acquire VERSATILE. July 31, 2000 - finalization of the transaction for the purchase of the VERSATILE plant by Buhler Industries Inc. Tractors are manufactured under the brand name Buhler. October 31, 2007 - the association of companies VERSATILE and Rostselmash. 2008 - Buhler tractors return their historical name VERSATILE. In the same year begins the active development of the product line. 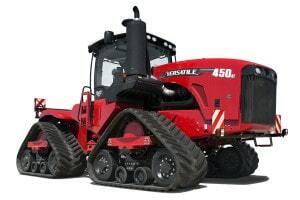 Every year new models of tractors are brought to the market: 400 and 290 (2008); HHT Series 575 (2009); 190 (2010); 550 (2012); 310 and 450DT (2013). 2009 - the VERSATILE group begins to diversify production by expanding the range of agricultural equipment produced. In the same year, the assets of the American company Red Ball were acquired to develop the production of sprayers at the Canadian company Buhler. 2010 - The VERSATILE group acquires the assets of the American company Feterl Manufacturing Corp (Salem, South Dakota) to develop the production of equipment for handling, processing and storing grain. July 13, 2010 - VERSATILE 535 tractor set a world record. Exactly one day in a complex with the Gregoire Besson wide harrow, he cultivated 417 hectares of land. 2011 - the asset portfolio of the VERSATILE group was replenished by a Canadian manufacturer of equipment for planting and tillage - Ezee-On. 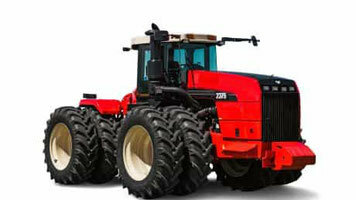 2012 - two new series of VERSATILE tractors with a capacity of up to 575 hp come onto the market. - C3 and D2. 2014 - assembly of grain harvesters of the 5th and 7th classes of productivity: VERSATILE 750 and VERSATILE 585 was organized at the site in Canada.